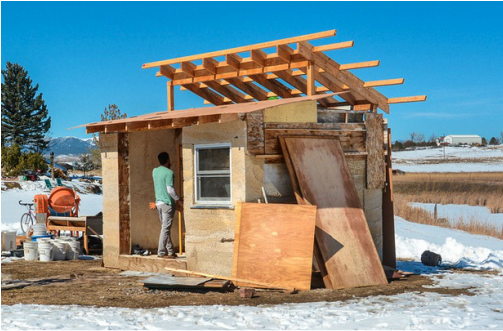 The Tiny Hemp House is the real-world expression of our goal to help clean up the planet by using all natural materials to create healthy, efficient living and work spaces. Our approach capitalizes on the growing Tiny House movement, taking the motto 'live smaller' to an even greater level of sustainability..
Customization: And we build. Contact us to see how we can provide you with a THH building for your dream country cottage, guest room or commercial/retail space. Our architects and designers will work out your vision. Do-It-Yourself: We can build for you or, if you wish, we'll work alongside you on a Do-It-Yourself basis, providing basic equipment, supplies, etc. We often turn these projects into educational experiences through workshops in which we spread the mission to live smaller, live greener.